BREAKING (really! 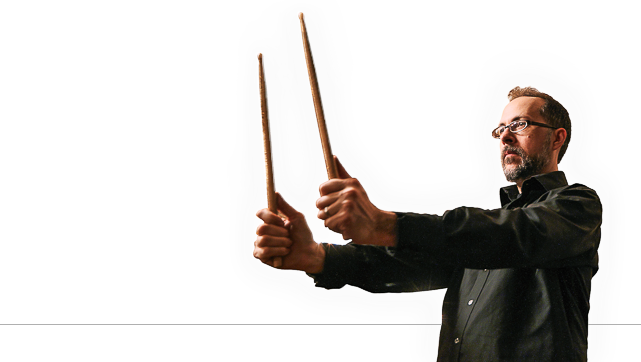 ): John Hollenbeck has been nominated for the Grammy Award for Best Instrumental Composition! The nomination is for “Falling Men”, one of ten mini-concertos John instrumentally composed for Daniel Yvinec’s Orchestre National de Jazz, appearing on that group’s stellar Shut Up & Dance. You can (and should!) learn more about “Falling Men” at this familiar blog post right here. Meanwhile all parties involved and many that are not are duly excited. John, for example, has already begun to prepare for his pre-awards show masterclass on advanced topics in percussion, featuring Robyn and Megadeth (info on signups will be made available as it emerges). Claudia Quintet+1 continues its irrepressible back-and-forth march through the mid-Atlantic, packing houses as they go and spreading tell of What Is The Beautiful?, their still-new LP featuring and dedicated to the poetry of Kenneth Patchen. The record has been earning no shortage of welcome, moving critical pens and upticking steadily the already heavy traffic in both physical and digital recordings. Among the record’s many fans are Down Beat’s John Murph, who deemed it a 4.5 star affair. While deep in Silver Spring, MD, Cuneiform was rising mightily to fill the order overflows, John & company were visited at Philly’s show by room-shrinking crowds, including radio superwoman Terry Gross and jazz critic Francis Davis. In New York, octogenarian impresario George Wein saw CQ+1 break open The Stone and decided he’d have to have them at Newport next year (Kurt Elling is also slated to appear, setting the stage for another team-up). Without question, the race to align with this six-to-eight-man jazz machine is only intensifying. Stay tuned for details about more opportunities to see CQ+1, before prominence carries them out of range and away to megastadiums, rural superfestivals and aircraft carriers. All we can say now is they’re slated to appear at the Cornelia Street Café on December 16th & 17th with a special guest whose initials are K.E. Hmm…. While you wait for intel, enrich your Hollenloving mind with this article JH wrote in the latest issue of Downbeat magazine. The topic: composing from a drummer’s perspective.